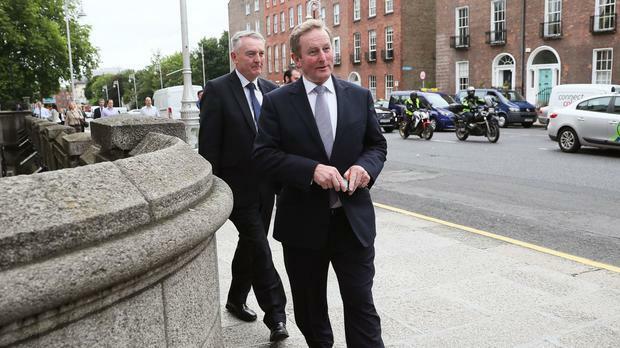 Enda Kenny's journey from obscurity to international renown was an unlikely one. Dismissed by many early on as a lightweight, he leaves his country's most powerful job after six years having stewarded Ireland through an historic economic crisis. Along the way he has built a reputation for decisiveness with a ruthless instinct for political survival which are key to his legacy. The fitness fanatic and father of three's renowned energy and optimism made him, some say, the right man for the job at the time. It was quipped he was more likely to electrocute them, such was his lack of standing and the party's dwindling relevance. Within a few more years - dramatic years, as Ireland was thrust from boom to bust - Mr Kenny had rebuilt Fine Gael into a force that won trust among rising numbers of voters to clear up a mess presided over by their arch rivals Fianna Fail. Alongside the headline The Celtic Comeback, he became the first Irish leader since Sean Lemass to make the cover of Time magazine's European edition. Like a phoenix from the ashes, the Irish economy became the fastest growing in Europe again and unemployment nosedived. But many believe Mr Kenny could have got a better deal from the bailout, which still leaves Irish taxpayers shouldering massive debts to cover speculators and investors after the banks collapsed. Convinced of his trajectory, he led his party again into the 2011 general election, urging the country to "keep the recovery going". Huge numbers, who were not feeling any recovery but were still suffering from bruising austerity measures, turned against Fine Gael as well as Labour. The coalition was pummelled but Mr Kenny kept his job. Nonetheless, Mr Kenny achieved his ambition of being the longest serving Fine Gael taoiseach and the only one re-elected.